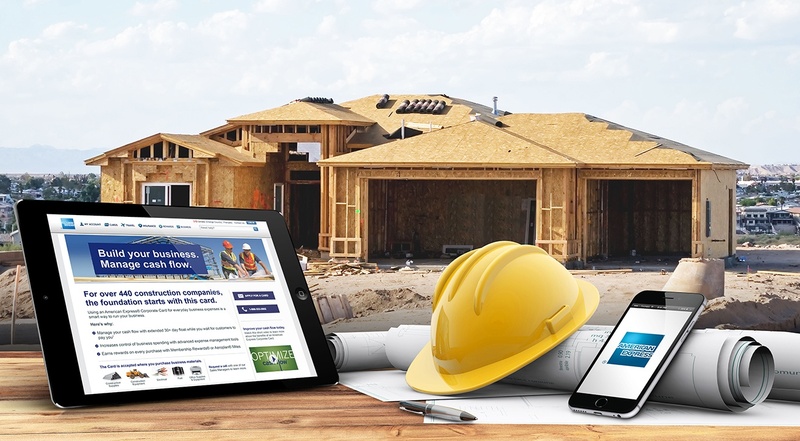 American Express wished to capture a greater share of the construction industry marketplace, a segment they traditionally hadn’t marketed aggressively to. To develop and deploy a marketing campaign that would motivate construction company owners and/or office managers to request more information, speak to an Amex representative and/or apply for an Amex card. GET LIFT Agency conducted extensive interviews with construction company office managers and/or owners. The insights gathered were used to create a buyer persona which then became the foundation behind the development of an integrated, targeted campaign. 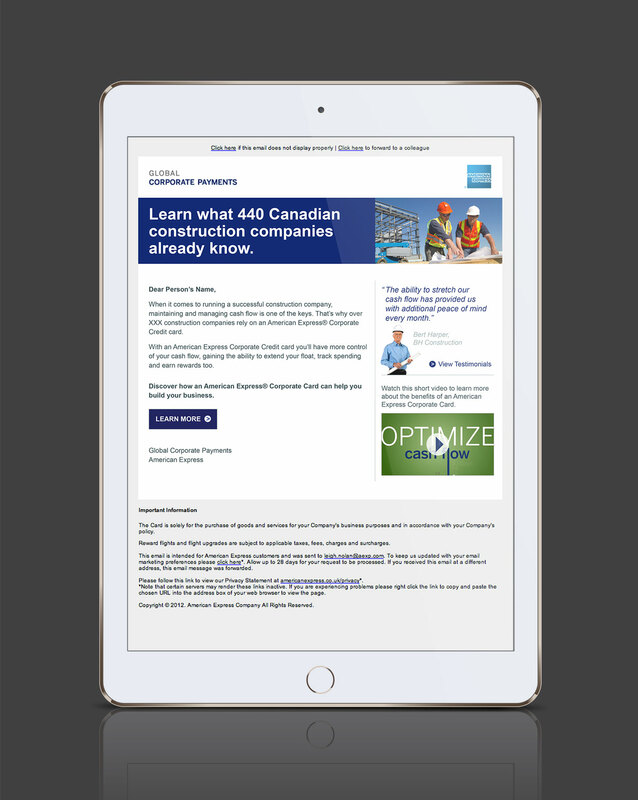 A highly-targeted email was created that highlighted how an American Express® Corporate Card would address the issues that were of greatest concern for construction company office managers and/or owners. Multiple call-to-actions sprinkled throughout the email encouraged customers to call for more information or apply for the card. When a customer clicked on one of the “APPLY FOR A CARD” buttons or “REQUEST A CALL” links found in the introductory email, they were sent to a microsite where they could fill out a form. 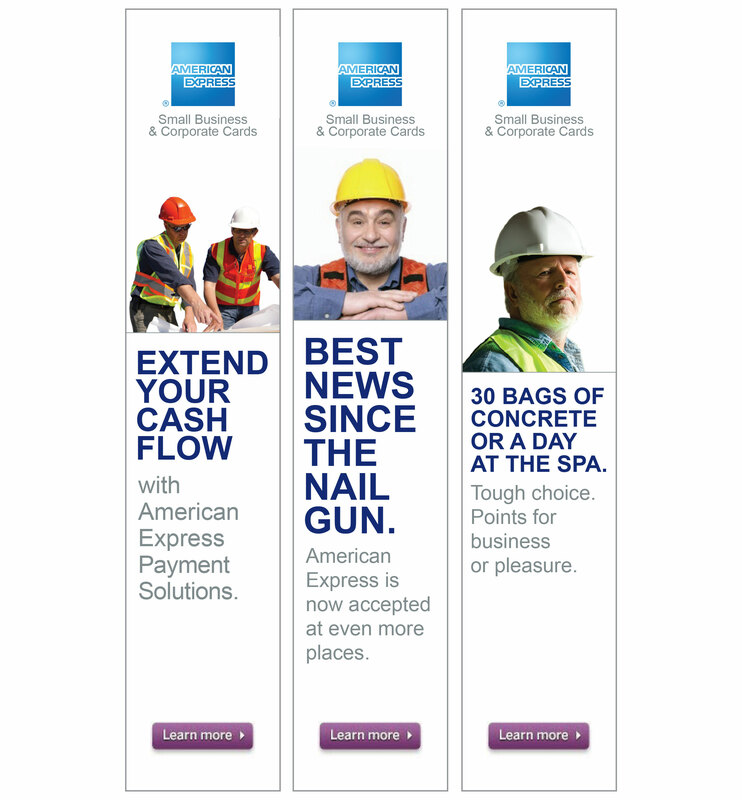 A series of three banner ads rotated on various construction-oriented digital properties. 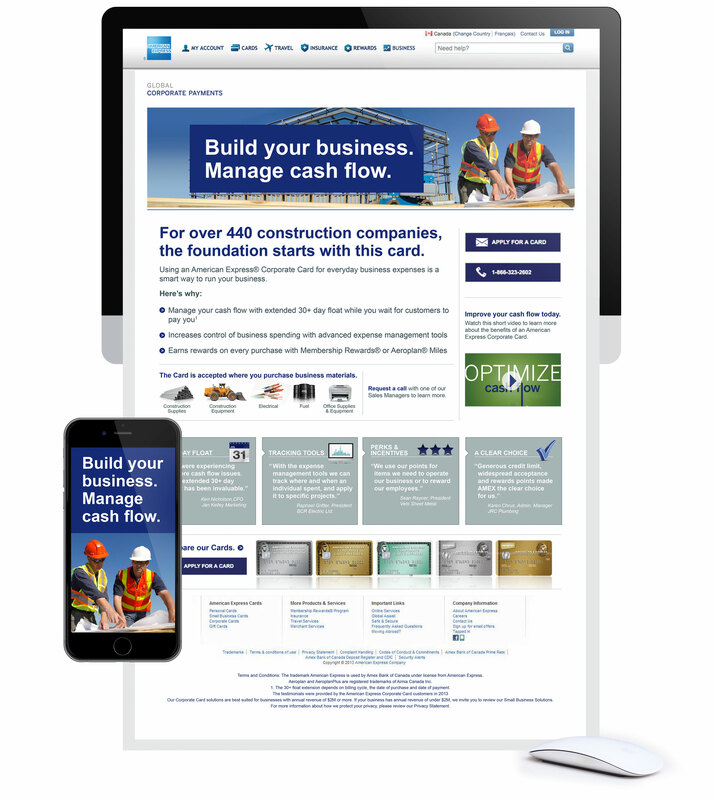 Each ad teased the reader by emphasizing a specific way the American Express® Corporate Card could benefit the construction owner and his business. 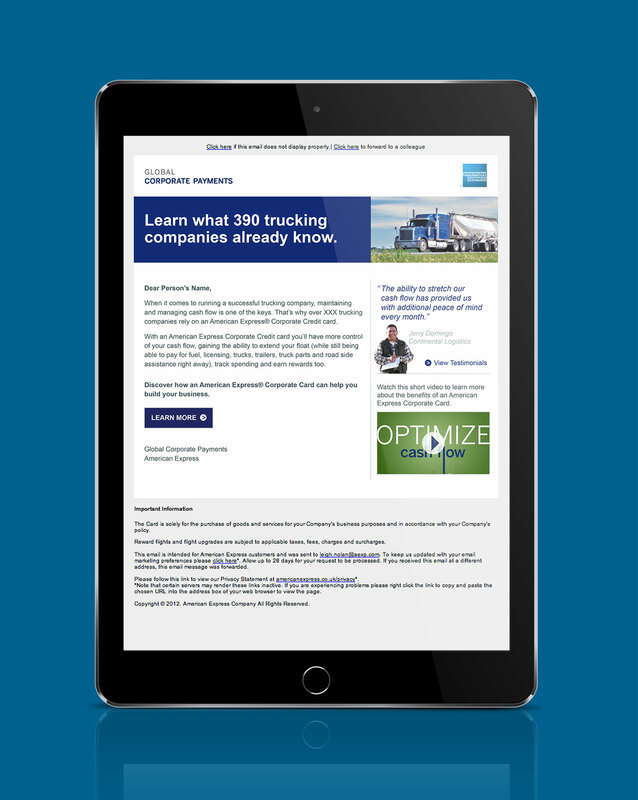 A “Learn More” button encouraged the customer to get further detail. 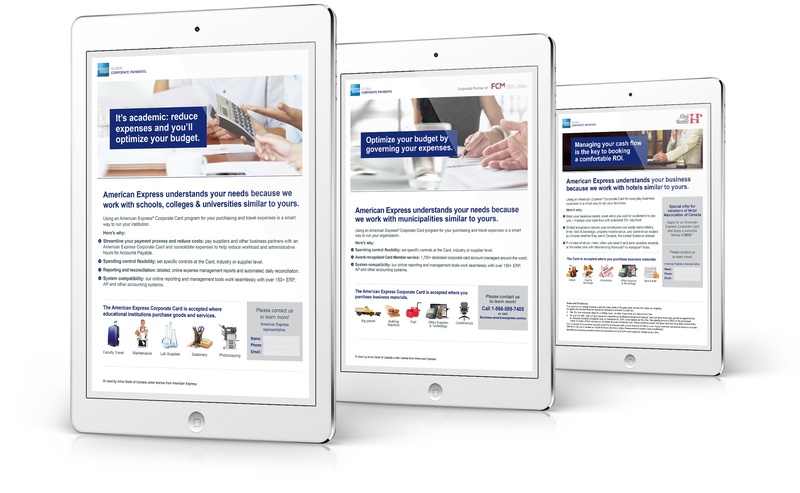 A clear and concise sell sheet was written and designed to assist sales reps in walking potential construction company customers through the various ways an American Express® Corporate Card could benefit their business.